As promised, I am here with information about some more housing societies worth considering for investment on Raiwind Road. In my previous post, I shed light on the investment prospects of Bahria Orchard, AWT’s Phase II, Sui Gas (Phase II) and LDA Avenue I. Today, I will discuss societies such as Lake City, Icon Valley, Fazaia Housing Scheme (Phases I and II) and Chinar Bagh. Lake City is one of the most sought after housing societies among investors. Prices in the locality have increased impressively in the recent past because of the expansion of Raiwind Road and also the development of Alternate Route, which has given access to the society from Khayaban-e-Jinnah. I believe the prices in the locality will increase further in the time to come because of the proposed development of Lahore Ring Road (LRR) with its interchange expected to be built at Adda Plot. Recently, 5-marla plots were launched at PKR 3,000,000 in Block M7 (C) and 7-marla at PKR 4,190,000 in Block M7 on instalments. The question is: should you capitalise on these plots? Yes, because I am expecting an impressive price increase for these plots because of the LRR. And if you wish to pay on cash, you can consider 5-marla plots in Block M7 (B) with their price ranging between PKR 3,300,000 and PKR 4,000,000. 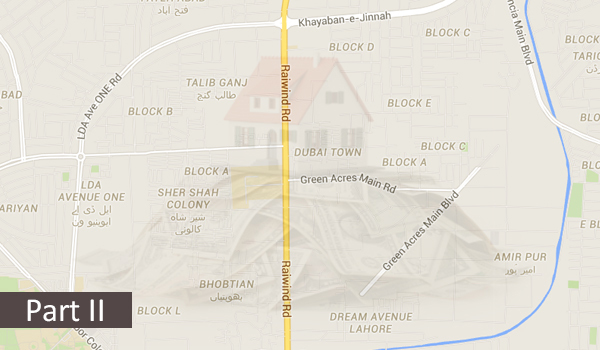 On the other hand, 7-marla plots can be procured on cash in Block M8 for PKR 3,000,000 and 3,500,000. Furthermore, 7-marla plots with possession are also available in M7 (A) and their price range between PKR 4,500,000 and PKR 5,500,000. 12 marla PKR 7,000,000 to PKR 7,500,000 Plots with possession are available in Block M1, while in M3 (A), the developer has yet to grant possession. 14 marla PKR 7,500,000 to PKR 8,000,000 You will get plots with possession in Blocks M1, while the plots for which possession has not been granted yet are available in Block M3 (A). Icon Valley is located only 3 kilometres away from the proposed LRR interchange on Raiwind Road. The society is 70% developed and features apartments and houses. According to my sources, 60% of the property units have been sold and 30 to 35 families are already living there. It is an LDA-approved housing project, which means you can capitalise on the society without fretting about approval-related matters. And you should consider this locality for investment as well as living. Because of the massiveness of the payment plan for apartments and houses, it is not possible for me to present it here, so I suggest you click here to view complete payment plan. I believe prices in the locality will surge with increase in population and development of LRR. Phase I of Fazaia Housing Scheme is fully developed with possession handed over for all plot categories. Though plot prices have already increased manifold in the locality, the development of LRR will play an important role in propelling prices further. You should note that the LRR will cut through the society and will affect plots in Blocks A, E, and F. However, there are rumours that the Fazaia management will allot alternate plots somewhere at the backside of Block B or acquire Wyeth Housing Society for this purpose, but there is no official word on it. So, you need to take your investment decisions wisely. Fazaia Housing Scheme’s Phase II is in its development stage. Almost 60% to 70% of the road infrastructure is complete and it is expected that possession will be handed over in Phase II in January 2017. Chinar Bagh is a cooperative housing society and features residential plots of 5 marla, 10 marla, 1 kanal and 2 kanal. Adda Plot is located almost a kilometre away from the society. In Punjab Extension, 5-marla plots are available on cash with their prices ranging between 1,450,000 and PKR 1,650,000. It is expected that possession for these plots will be granted within a year. The society also launched 5-marla plots on instalments (PKR 20,000 per month) in Jhelum Extension. This is another option worth considering for investors on the lookout for bagging returns in an estimated time of 3 years. Punjab Extension and Jhelum Extension are the only blocks where possession has not be granted yet, however, you can build your houses in other blocks such as Punjab, Rahbar, Khyber, Bolan, Mehran, Shaheen and Rachna. I hope this post would be helpful for you to base your investment decisions on. If you still have any queries in mind, please feel free to talk to me in the comments section below. I will try to answer your queries as soon as possible.